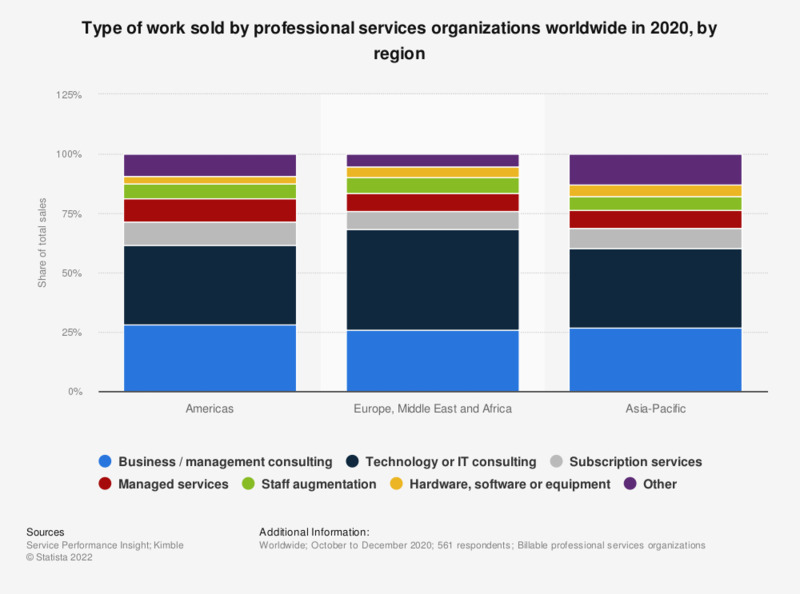 This statistic depicts the type of work sold by professional services organizations worldwide in 2018, broken down by region. During the survey, 32 percent of sales in the Americas were in technology or IT consulting. Survey method not provided by the source.